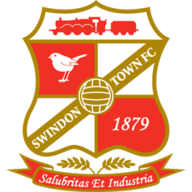 Team news ahead of Saturday's League Two clash between Swindon and Morecambe at the County Ground. Defender Liam Ridehalgh is available once again for Swindon. The on-loan Huddersfield left-back has missed the last two games with an ankle problem but could come into manager Paolo Di Canio's side against the Shrimps at the County Ground. Di Canio laid into his team for what he called a "bad" display in their 1-1 derby draw at Bristol Rovers last time out and the Italian could make changes to his starting XI. Winger Matt Ritchie returns from a ban for the Wiltshire outfit and will come back into the starting line-up but defender Joe Devera (ankle) is unlikely to play a part. Defender Laurence Wilson is a fitness doubt for Morecambe's trip. Wilson took painful blows to both feet during last weekend's goalless draw with Oxford and will be assessed closer to kick off. Garry Hunter is hoping to be available for the game after the midfielder missed the Us game due to an unspecified complaint. Striker Jason Price was an unused substitute in that match having spent time on the sidelines with a hamstring problem and will be pushing for a start against Paolo Di Canio's side, who are unbeaten in 14 games. 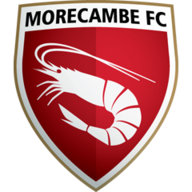 "It's going to be a very tough game," Shrimps boss Jim Bentley told the Lancashire Evening Post. "It will be nice to pit my wits against Paolo Di Canio, who was a fantastic footballer and is now doing well as a manager. We expect another tough assignment, but it's a game we will certainly go into with confidence."